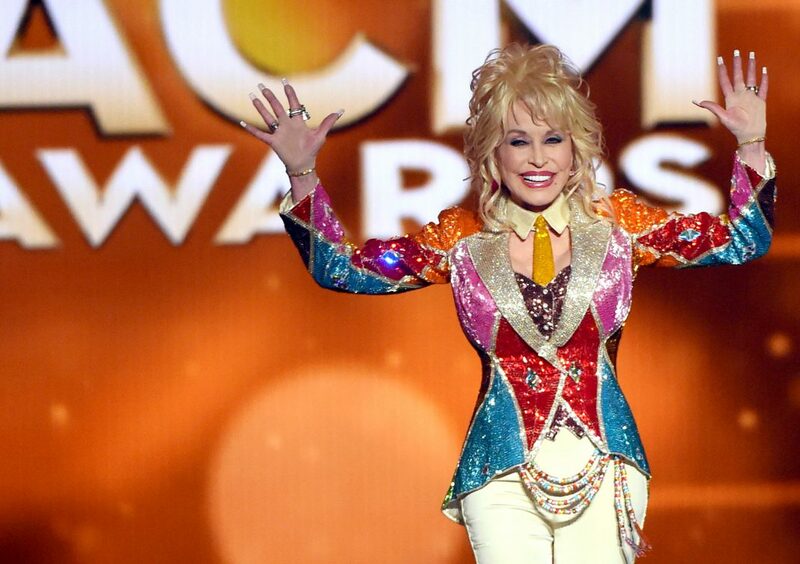 Home Celebrity Dolly Parton’s Iconic Costumes Are Going on Display in L.A.
Dolly Parton’s Iconic Costumes Are Going on Display in L.A.
Dolly Parton is a queen, and the Grammy Museum is giving us a rare opportunity to view her vestments. Diamond in a Rhinestone World: The Costumes of Dolly Parton opens February 5, marking the first exhibit dedicated to the country music legend to ever be staged outside of Dollywood. Costumes are the heart of the exhibit, with a selection of memorable ensembles that Parton has sported for performances, music videos, and photo shoots. Pieces include the pink dress she wore for the cover of 2008 record Backwoods Barbie, outfits from “Live in London 2009,” and even the black-and-white mini she sported to the recent premiere of Dumplin. Parton herself will be on hand for an opening event, where she’ll share stories behind the outfits on display. The show remains open to the public through March 17 and will be included with general admission tickets to the museum. The Grammy Foundation is also honoring Parton: It is naming her 2019 MusiCares Person of the Year at a gala February 8 in celebration of her philanthropic work.